Jack L. Carter 2012. Revised and Expanded. The Native Plant Society also an award for 6-12 science teachers who incorporate teaching about plants/plant science/native plants in effective and inspiring ways. A one-time award of $500 will be granted to the teacher, along with one free teacher copy and one free classroom copy of Jack Carter’s book, Trees and Shrubs of New Mexico. Go to our Grants page for more details. Flowering Plants of New Mexico by Robert DeWitt Ivey is without a doubt one of the most consulted references in the state for people interested in this state’s native plants. The first edition appeared in 1983. Over the next 25 years four more editions appeared, culminating with the 5th edition in 2008. Not too long ago, DeWitt told me that more than 10,000 copies had been sold over the years. When he was 85, he told me that the 5th would be his last. During his last years, he and I discussed the future of his important book. He recognized the significance of his artistic abilities and scientific accuracy to both botanists and, more importantly, to those not interested in the intricacies of botanical science. He also expressed his wish to leave a legacy for his wife Vivian. He felt that it was important to keep his work alive. We discussed the possibility of producing the book digitally. My wife, Betty, and I recently completed the conversion of his book to digital format. 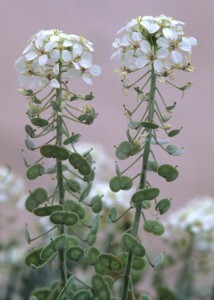 The 5th edition of Flowering Plants of New Mexico is now available at Lulu.com for $36.00 plus shipping. When a book is ordered, it will be printed by Lulu within two or three days and then delivered via FedEx in about five days. At DeWitt’s request, all proceeds from the sale of this book will be directed to his wife.